New World Library is the publisher of Dogs and the Women Who Love Them plus the Angel Animals series of feel good books by Allen and Linda Anderson. 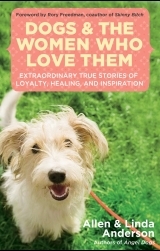 "The rescuing works both ways again in Allen and Linda Anderson's Collection, Dogs and the Women Who Love Them: Extraordinary True Stories of Loyalty, Healing, and Inspiration, as canines who've suffered abuse, neglect or misfortune seek and comfort humans who've endured the same." 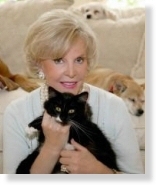 Visit the Angel Animals Network -- Where Pets are Family to view the other books by Allen and Linda Anderson. Click to purchase Dogs and The Woman Who Love Them (New World Library, Fall, 2010) autographed by Allen and Linda Anderson from the Angel Animals Network Online Bookstore. Allen and Linda Anderson, Copyright © 2010. All rights reserved.